Almost two years ago a middle-aged man came to see me with severe shoulder pain. He told me that he had suffered from this for 6 years. He previously had 5 cortisone injections and 2 operations, none of which solved the problem of his shoulder. After his fifth session of acupuncture, his shoulder pain had completely cleared. The result of the treatment is no surprise because we always find out the cause of the pain so that we can resolve it quickly. 1. What is Shoulder pain about? Shoulder pain is a very common symptom in the clinic. Apart from injury, it is mostly found in those over the age of 50 years. It can, however, be found in all ages but is less common. This is why Chinese Medicine textbooks also refer to it as ‘Fifties Shoulder’ and ‘Frozen shoulder’. 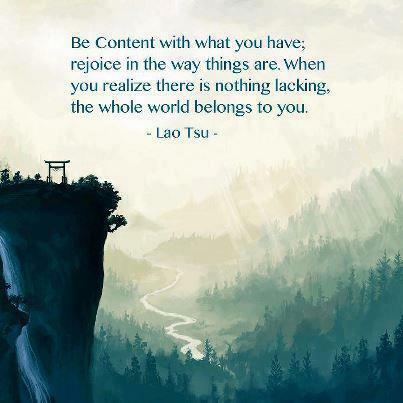 Once you acquired, it not only affects work but also daily activities. In the beginning it presents with mild pain in one shoulder around the joint which gradually worsens. The pain can be located on the front, top or back of the shoulder and can be worse during activities when using the arm. When the pain gets worse it will affect the range of movement, including: lifting the arm forward, pulling the arm back, combing the hair, shaving and dressing. On top of pain, it might also be tight, stiff, numb or swollen. Traditional Chinese Medicine considers the following reasons which are the main causes of shoulder pain. In this cause, the shoulder is being attacked by the cold or wind of external pathogens. Such things like air-conditioning, fan or open window or no blanket whilst you sleep. This leads to an invasion of cold causing stagnation in the channels around the shoulder and results in pain. Usually this pain comes and goes depending on the climate. It will be worse on a cold and windy day. This type of shoulder pain can be caused by a reduced flow in the circulation leading to stagnation of blood, such as from sports injuries, overuse of the shoulder or general injury. The pain will be sharp, fixed and feel deep within the shoulder. The pain may even occur while sleeping. The neck, shoulders and arms share a few channels and when there is a lack of circulation to the neck the problem will affect the circulation in the arms and shoulders causing shoulder pain . 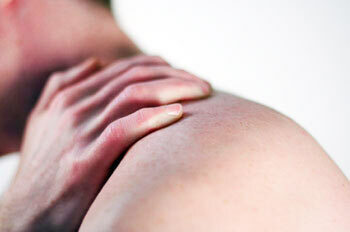 This type of shoulder pain may also be combined with finger tingling or numbness. Chinese Medicine considers that the channels and internal organs are strongly related. Sometimes, when internal organs are weakened or in a state of dysfunction, the shoulders can be affected as a consequence. These organs can include the Liver, Gall Bladder, Lungs and Small Intestine. 3. How does Chinese medicine help shoulder pain? First of all we will find out the cause of the pain by our Traditional Chinese medicine diagnosis method, such as pulse, tongue, signs and symptoms. Secondly, we will set up an appropriate principle of treatment, which is suitable and most effective to your cause – ie. acupuncture, Chinese herbs, cupping, scrubbing or Chinese meridian massage. i) Avoid direct wind on your shoulder and neck while sleeping. Cover your shoulder and neck, especially in the cold evening while sleeping. In cold or windy weather, protect your neck and shoulders with clothing such as a scarf. ii) If you have an old injury to your neck or shoulder seek immediate treatment to resolve the injury. iii) Avoid touching frozen or cold objects with your hands as this may affect the circulation to your neck and shoulders. iv) Regular gentle exercise involving the shoulders and arms. 4 Responses to How does Chinese medicine help shoulder pain? I am having a lot of pain and stiffness in my right shoulder, which runs from the right side of my neck along the back top of the shoulder, running down my biceps where it is the most painful and causes great pain should I do certain movements – doing up my bra has become extremely difficult due to the severe pain and lack of movement. I have had Craniosacral/strain,counter strain treatment which greatly helped, unfortunately this was when I was on holiday in Adelaide, but reside in Perth. I am also currently attending a chiropractic clinic, which gives me temporary relief. If you can help me, I would be greatly appreciative. Dear Lorraine, you are welcome to contact our clinic to make an appointment. Our practitioners need to see and diagnose the cause of your shoulder pain first before we can offer a treatment plan for your pain. We will do our best to help you. I was wondering if you have a clinic in the eastern suburbs of Melbourne? I live in Healesville.I have bad shoulder pain in the right shoulder,specially above my head,as I am a plasterer,and frequently have my arm raised.Some info would be appreciated . Dear Stefan, sorry we do not have any clinics in Melbourne at this time. You may find an experienced Chinese medicine practitioner near you if you wish to try acupuncture.